Yay! It’s the first day of the rest of your life! Ready to make it as delicious as possible? Flavor-boosting isn’t just a hobby of mine; it’s an obsession. I’ve never really understood how some folks can choke down meal after meal of bland, unseasoned protein and vegetables—especially given that it’s often dead-simple to amp up the flavor profile of, well, EVERYTHING with just a few simple, wholesome ingredients. To be sustainable, Paleo eating has to be tasty, and spices go a long way toward perking up our palates. That’s why I love visiting my local spice purveyors, where I can follow my nose and stock up on curry powders, red chile pepper flakes, Chinese five spice, cumin, cinnamon—you name it. Then, when I get home, it’s mix-and-match time. My own Tabil Spice Blend (an exotic Tunisian rub that tastes good on everything)! Melissa Joulwan’s Ras el Hanout! Serious Eats’ Cajun Spice Blend! 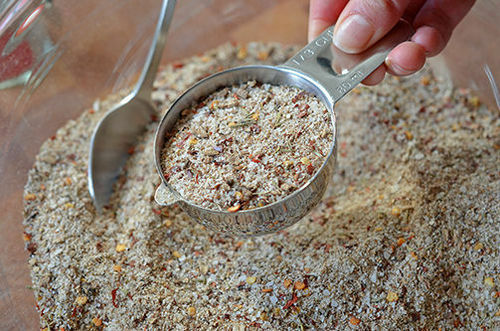 The Kitchn’s Za’atar Seasoning Blend! Mark Sisson’s Spice Rubs For Your Holiday Roasts! Paleo Parents’ comprehensive tutorial on herbs and spices—and how to make their five favorite spice blends! Need even more saucy ideas? 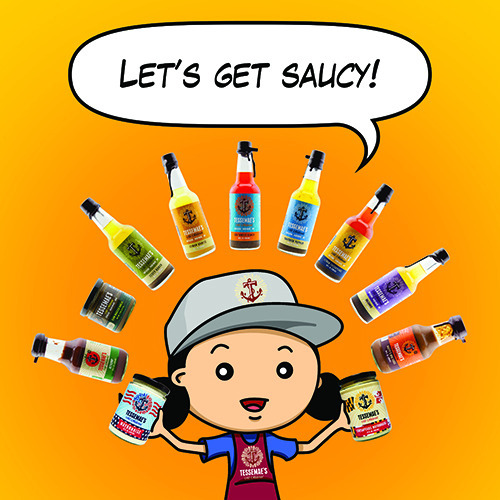 Go take a gander at Stupid Easy Paleo’s Ultimate Paleo Sauce Boss Round Up, featuring 50 Paleo sauces! Whew—that’s a lot of recipes. But don’t get overwhelmed. Although I’m a firm believer in cooking our own food, I know it’s not always possible when Real Life gets in the way. 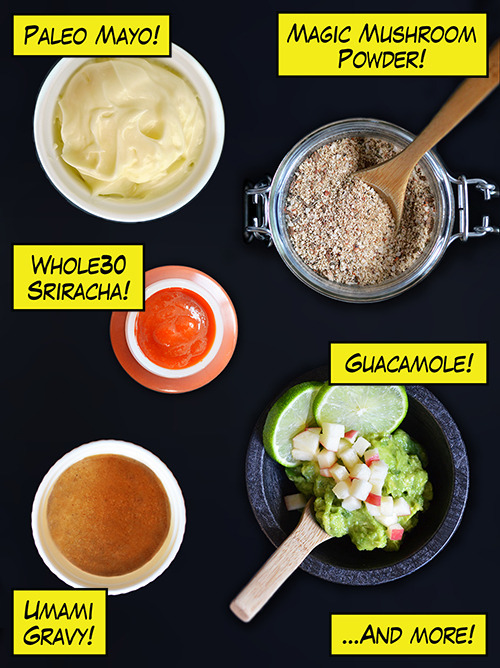 So if making your own sauces isn’t in the cards this month, you can still enjoy insanely tasty flavor boosters by purchasing them. Just make sure you’re carefully reading product labels and stocking up with stuff that’s made with high-quality ingredients, like Tessemae’s all natural dressings and sauces. There are a bunch of Tessemae’s dressings that are Whole30-approved, and they’re fantastically delicious to boot. Looking for more recipes? Head on over to my Recipe Index! You’ll also find exclusive recipes on my Webby Award-Winning iPad® app, and in my New York Times bestselling cookbook, Nom Nom Paleo: Food for Humans (Andrews McMeel 2013).